Rob is now just posting the episodes on our new website over at Idle Thumbs, so it falls on me to point people who subscribe here to that location and alert them that the talky men are back. 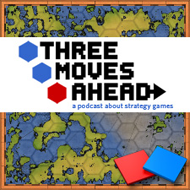 This week, editor Michael Hermes comes aboard in our annual “so it’s not a strategy game, but…” show. The show was his idea, and we talk about FTL, the game that has much of the internet talking, for now. Subscribe on iTunes.“>A reminder to rate and review us on iTunes! Is this going to be loaded on the site here? I thought it was the “official podcast of flash of steel”, not of Idle Thumbs. The podcast was never uploaded here, the file was only linked, but I can continue to provide a link if people insist on it. Generally, we’d like to move 3MA discussion to the swanky new home, but I will continue to always promote it and, in the future, maybe make the podcast posts here more of a commentary on the discussion or proper show notes. The old way of doing things involved 3 different CMSes and a lot of copy/pasting. 3MA is still the official podcast of Flash of Steel from where I sit. It started here and Rob and I are equal partners in it. When I host, I tend to make the connection obvious because hey, I love this stupid little thing. A consequence of moving the podcast, of course, is that I will need to update more to maintain traffic where it should be. I’d appreciate a link. For some reason, my workplace blocks access to the Idle Thumbs site so I can’t get to the podcast. Though, not if it’s at an expense to you. I can always d/l it at home.